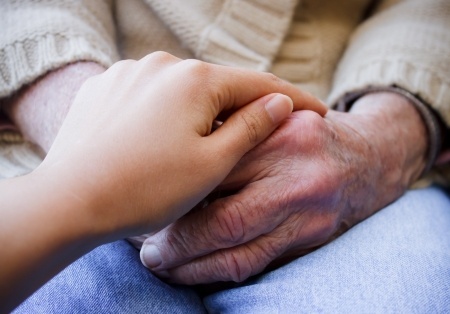 If you are between the ages of forty and sixty-five, chances are you or someone you know is spending time during the week caring for aging parents. In the early stages, this care might mean providing a ride to the bank or grocery store on a Saturday afternoon. However, as our parents’ needs change, you may find yourself cleaning the house, preparing meals, running errands and perhaps even providing personal care like bathing and the changing of incontinence briefs (adult diapers). Are you alone in this effort or do you have siblings that are sharing the load? Do you find that you are doing much more than your sister and brother? Many family caregivers are already busy with full-time jobs and their own family responsibilities, so it is vital that the siblings pull together to support one another, all the while ensuring mom and dad are aging safely, comfortably and with the dignity they deserve. 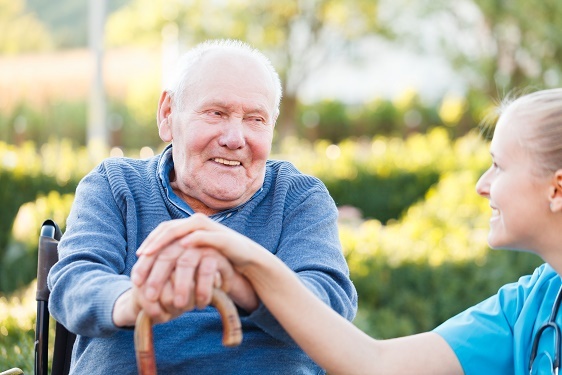 In running a seniors’ home care company, we witness the entire spectrum of ‘teamwork’ when it comes to families sharing caregiving responsibilities. In this post, we would like to share some examples of what we have seen here in Toronto, and provide some tips on how you and your siblings can have open discussions about providing the best possible support for your mom and dad. We worked with a lovely 92 year old woman in Leaside who lost her husband more than a decade ago. She was able to get to the bathroom on her own and prepare a light breakfast. We were asked to assist her with bathing, getting dressed, making sure her home was clean, and see that she was well-nourished. When speaking with their mother they were all doting daughters willing to do whatever it took to make her happy, but unfortunately, behind the scenes they squabbled endlessly. They fought about who was the busiest and most put-out, who contributed the most care, and who was spending the most money. In the end, they forgot that there is real joy found while working together to provide care for an aging parent. It is increasingly common to see families where mom and dad live in Toronto and their ‘kids’ are dispersed in other provinces or countries. We currently work with a husband and wife who are in their late eighties. They have two children; one resides in Arizona and the other in Vancouver. Both are still working and as such they are only able to get back home a couple times per year. Because their father is living with Alzheimer’s they know their mother is working hard to provide him with the care he requires to live a fulfilling life. The siblings get along very well and agree on almost everything. We communicate through email on a regular basis and because they put the needs of their parents first, differences of opinion are infrequent and dealt with in a very respectful manner. In situations where there is one sibling living near aging parents (and therefore doing all of the caring and troubleshooting), it is very detrimental for any sibling living far away to criticize the efforts of the local brother or sister. Caregiving is difficult, and except in cases of abuse or neglect, the urge to criticize someone’s sincere caregiving efforts should be suppressed. Instead, planning a trip home to look after mom and dad to give the local sibling respite should be considered. If this is not possible, monetary contributions toward a hired caregiver (or in some situations paying the local sibling for her efforts) can provide practical help and speak volumes for your support. Every family’s situation is a little different. We all have unique family dynamics and relationships that have decades of habit and history. Call a team meeting to create a ‘Circle of Care’ – put some people on speaker phone if you have to. What can people offer for support? Meals cooked, 3 hours on a Thursday night, accompanying mom and dad to appointments, housekeeping, gardening, grocery pick up. If people have little time, could they contribute financially for a hired caregiver to help out? Elect a leader – have a conversation about who should be the manager of your parents’ care. Who lives closest? Who has the most time? Who wants the responsibility? What are the duties? If the thought of choosing a leader for care amongst siblings is daunting or seemingly impossible, a care manager at a seniors’ home care company may do it. A care manager would act as a neutral third party (but an advocate for the parents) and could diminish animosity between adult children. Full disclosure – have an open and honest conversation. Costs involved, estate planning, Power of Attorney, ‘what-if’ scenarios. Great resources for these conversations can be found at www.advancecareplanning.ca , offering guidance and workbooks specific to the legalities of different provinces. Talk openly about what needs to be planned and discussed with the parents. Talk to your parents – what do they want? Retirement residence, nursing home, in-home care, advanced directives. The best care for mom and dad will follow from their desires. Remember: they are your parents! No matter what, keep reminding yourself and your family that your goal is to give your parents the opportunity to age with grace and dignity. Providing care is no easy task whether that care is for a child or a senior. It requires patience, energy, and a lot of support from friends, family and professionals. If you and your siblings work together to approach your parents’ care with their best interests at heart, it can be a rewarding experience for all involved.